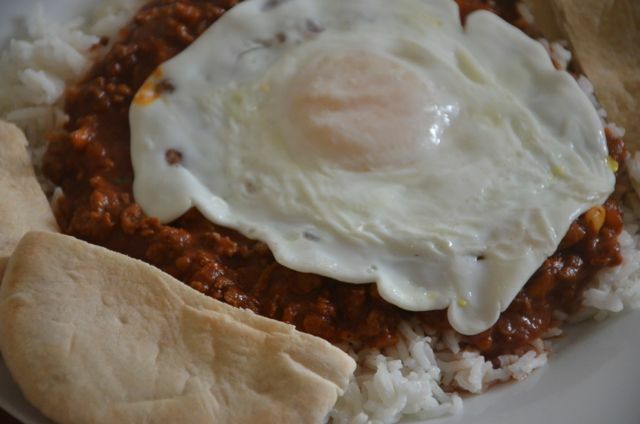 I found a recipe for Spiced Lamb Mince with a fried egg on top in a magazine and at first glance it looked really good to me… As I started combing through it, I omitted and exchanged so many ingredients that my version turned into something quite different, but still delicious in a different way. The original dish was more of a salad, while my result is a flavor-packed, warming meal slightly resembling a curry that hits the spot for either a hungry lunch or dinner. Baharat spice mix is a spice blend that's typically used in Middle Eastern cooking and it's something I've easily been able to find in the grocery store. I normally buy the BART Baharat Tin. However, if you can't find it in your local grocery story, it's simple enough to make. Click here for a Baharat Spice Mix recipe. 1. Heat the olive oil over medium heat in a non-stick frying pan and cook the banana shallot with a pinch of salt for 5 to 7 minutes or until tender and beginning to color. 2. Add the baharat spice mix along with the lemon zest and cook, stirring for another two or three minutes before adding the lamb mince. 3. Increase the heat to high and fry the lamb until browned, breaking up with a wooden spoon. 4. Once browned all over and showing little to no pink, pour in the passata, reduce the heat and simmer for at least 15 minutes on low heat. 5. Meanwhile, heat some more olive oil in another non-stick frying pan and fry the eggs. To make plating easier, put each finished fried egg on a small saucer or plate. 6. Pour the lemon juice over the tomato lamb mixture before stirring in the parsley and pine nuts. Salt & pepper to taste if needed. 7. 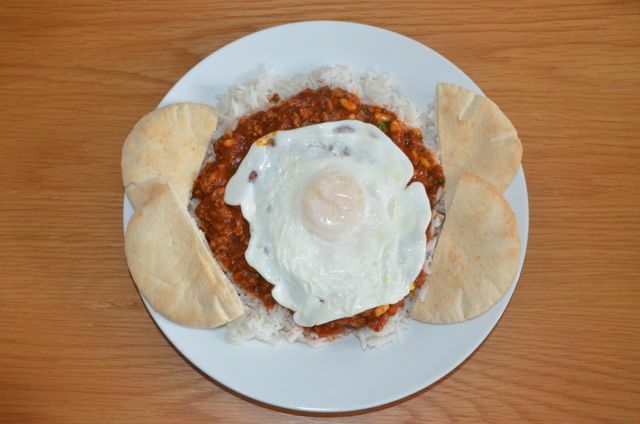 To serve, spoon the lamb mince on top of a bed of basmati rice and top with a fried egg. Serve with toasted pittas on the side and enjoy!